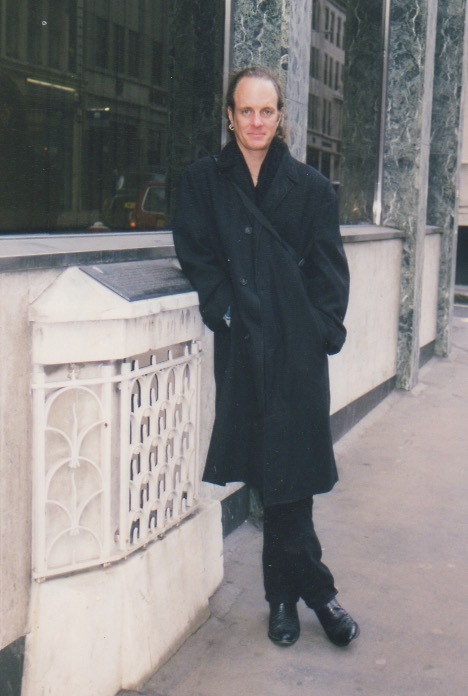 This one is personal, me, in front of the “Stone of London,” a marker from Roman London, or Londonium, I guess. My father took it, and written on the back, in his handwriting, marking it from the fall of 1998. Never can tell, British dry wit, what the deal with the “Stone of London” was, some kind of ceremonial marker, or leftover cornerstone from a Roman occupation of the UK. Dug it out of a “shoebox,” which, in itself, might be a misnomer, as a shoebox would imply a cardboard box of sorts, and I’ll have no cardboard for permanent storage, not anymore. Anything worth saving gets ensconced in plastic. Since the turn of the millennium, though, I tend to only save digital archives. Easier to manage.